Viaggio in Italia is considered by some film theorists the beginning of modernity in cinema. 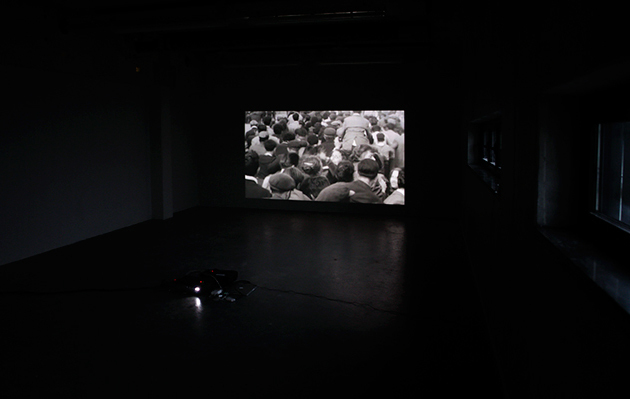 In the last scene, the members of a marriage in conflict strive to reach each other in a crowd. 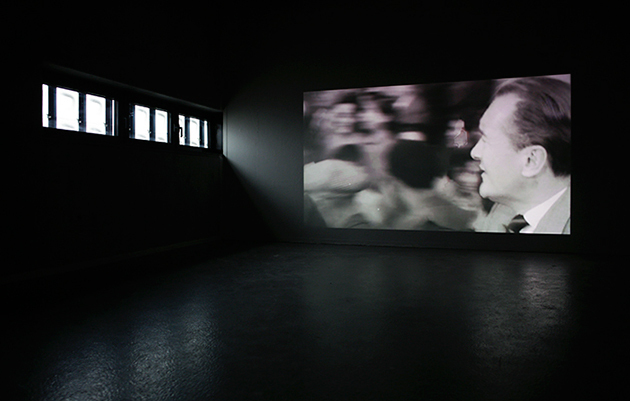 In this video installation, this sceneis slowed-down, looped and deconstructed into two different channels following each of the lead characters, not allowing them to achieve the desired resolution, not allowing the film to end. The two audio channels increase in intensity as the characters move closer.